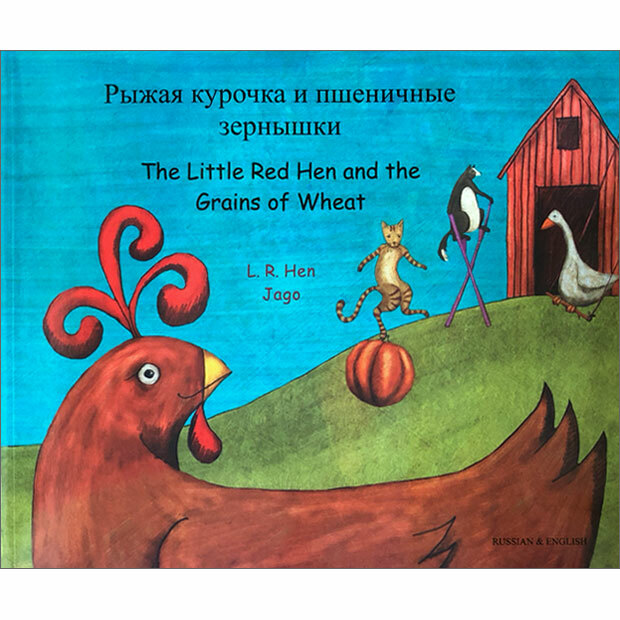 The Little Red Hen & The Grains of Wheat / Рыжая курочка и пшеничные Зернышки - Russian & English is a bilingual story book. With the full text in both English and Russian, the familiar story will inspire both early readers and older learners who enjoy reading Russian and English in parallel. Little Red Hen finds some grains of wheat but when she asks the cat, the dog and the goose to help her plant them, they are all far too busy. When Little Red Hen has finally grown the wheat, harvested it, turned it into flour and baked the bread the others are more than happy to help her eat it - but who will she choose to share it with? This is a lovely story about the value of hard work, personal contribution and, ultimately, of reaping what you sow. This book can be used alone as a picture book, but it also has a very special added extra - if you own a PENpal Talking Pen, then you can download the audio for FREE and this becomes a talking book! Touch the corner of each page with the PENpal to hear a native speaker read the story to you, in Arabic or English, so that you can perfect your pronunciation & intonation. The Little Red Hen & The Grains of Wheat - Russian & English is a high-quality dual-language picture book, suitable both for children who are learning and reading Russian and English in parallel and those being introduced to Russian or English as a second language. The full text is featured in both English and Russian.